Gone are the reasonably barren gaming months of January and February, and taking its place comes the dawn of spring. Spring is traditionally a time for new birth – so hopefully this March will see some stellar new games arrive for us gamers to enjoy. Have a gander at the following retail Xbox One games that will be hitting the shelves this month. 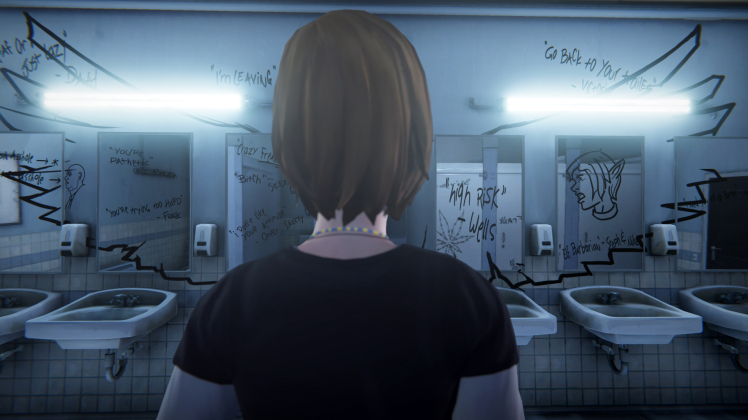 Despite the fact that what made the first season of Life is Strange unique was the time manipulation, enabling protagonist Max to rewind time to suit her, Deck Nine and Square Enix have somewhat taken it old skool with the second season. Yes, there are no supernatural powers, and this is due to the main character being Chloe, with Before the Storm being set a whole three years before the emotional events of Life is Strange. As with many point and click story adventures a lot of the fun is in the plot itself, and Life is Strange: Before the Storm tells the tale of unlikely friends Amber and the well-known rebel Chloe, who must both overcome their personal demons in light of a major family revelation on popular girl Amber’s part. The Life is Strange: Before the Storm Season Pass has already hit the virtual shelves on Xbox One, but this month will see the release of a retail version. 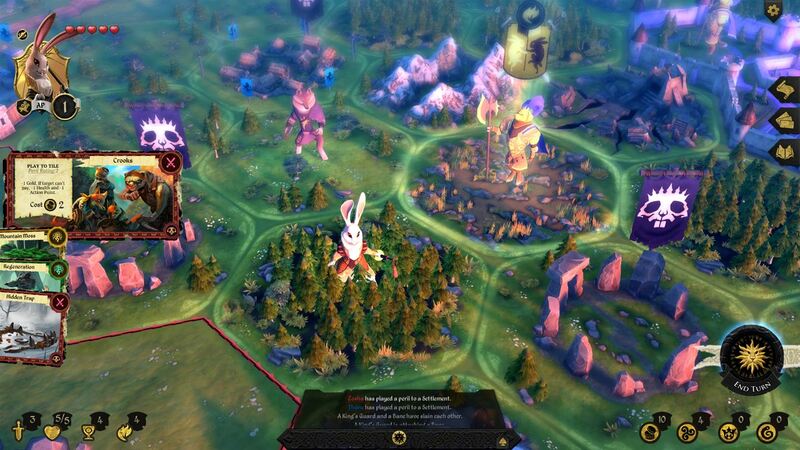 There may be a little bit less ‘board’ than ‘game’ in Armello – but Xbox One is for bringing games alive and that is certainly what Armello does, whilst still priding itself as a ‘Digital Board Game’. It’s all about the animals with Armello, as each of the four great clans have offered forward their best heroes in an attempt to overthrow the King in the center of the map – who is of course a Lion! It is through completing Quests or deploying spells you will gather cards to deploy in order to achieve your main goal. The twist? The board you will play out your magical animal adventure on will be procedurally generated, opening up different ways for you to approach the task in hand. Alternatively if you want to get hold of the basics you may want to choose a default map. Add in some online multiplayer, a whole host of cards to buff your plays and exciting quest lines, and you will come to the in depth board game that is Armello – available as a retail release this month. Check out our review of Armello if you are still undecided: it has been on Xbox One digitally since 2016. If you fancy yourself as a motorsport fanatic, then you may have been tempted to take on the beast of an event that is the Isle of Man TT race. Wonder no more though as Bigben and Kylotonn have faithfully recreated the race around the island for you to partake in yourself! With a load of riders, official motorbikes and 9 fantasy tracks to tear up before tackling the main race, the option is there for you to customize your experience to your preference. 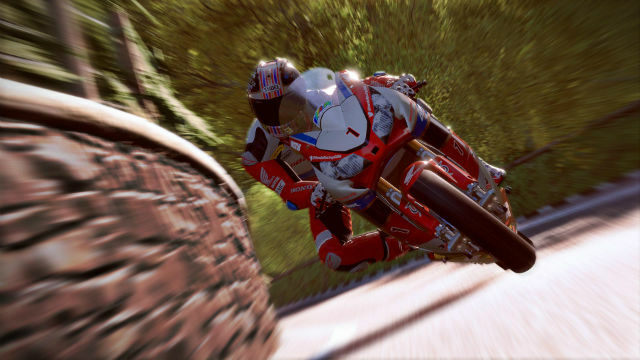 8 player online multiplayer is also available, as is a career mode enabling you to unlock new vehicles on your way to winning the iconic Isle of Man Tourist Trophy. TT Isle of Man is calling you motorcyclists… go show the famous race who’s boss! It’s time to embark on another adventure with Noctis and co with the release of Final Fantasy XV Royal Edition – enabling fans of the series to enjoy the latest addition to the franchise again, complete with the base game and a ton of new content and additions to work your way through. Among these extras is an extended map, controllable Royal Vessel Boat and the powerful action “Armiger Unleashed” to use. But I am a sucker for first person modes – and the ability to step into Noctis’ shoes to experience the glory of the world of Eos through his eyes is something that is pretty hard to ignore. 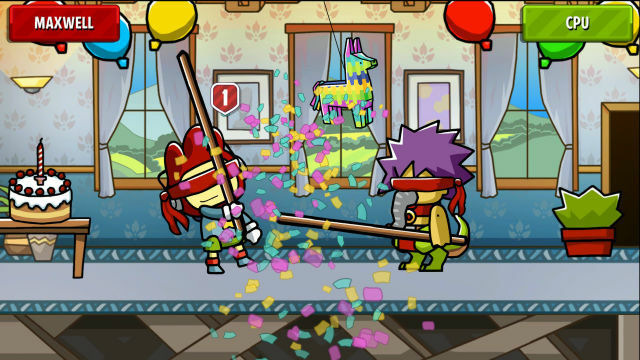 You may think of the imagination-em-up cartoon romp through a whole manner of wacky worlds and puzzles that is Scribblenauts coming over as a purely Nintendo-based affair. But that’s not the case any more as Scribblenauts Showdown, which this time round pits your brain power against up to three others, is hitting Xbox One, PS4 and Nintendo Switch this month. As well as choosing from over an amazing 35,000 items at your disposal, a card-based system has been added asking for a touch of strategy if you want to emerge victorious among your friends and family. If you do find yourself with nobody willing to pick up a controller then the solo mode and eight expansive sandbox levels will more than appeal if you want to bring your wildest fantasies to life – and of course we all have wanted to at some point in our lives! Oh what a month it is for remasters – and Capcom are hitting us with not one, not two, but three whole Devil May Cry games remastered for Xbox One! 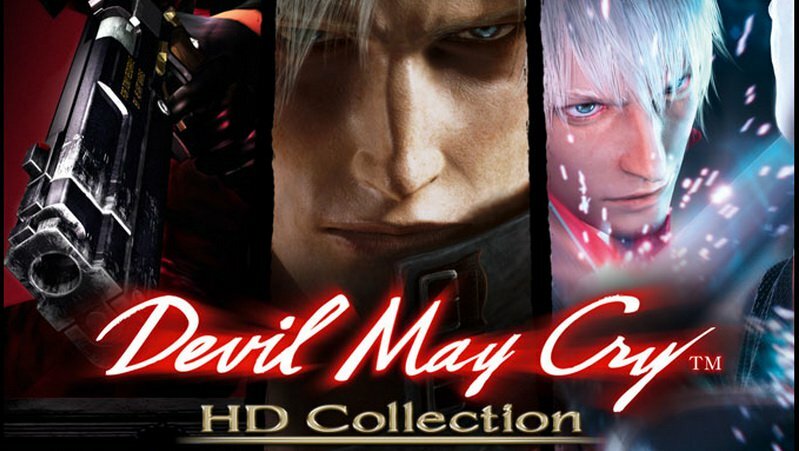 With those all important visual upgrades, gamers will soon be able to enjoy Devil May Cry 1, Devil May Cry 2 and Devil May Cry 3: Special Edition on current-gen consoles courtesy of the Devil May Cry HD Collection. Dante may be one of the cockiest heroes in gaming, but you cannot deny that his charm and amazing fighting abilities make for some of the best hack ‘n’ slashers we have seen on our screens. 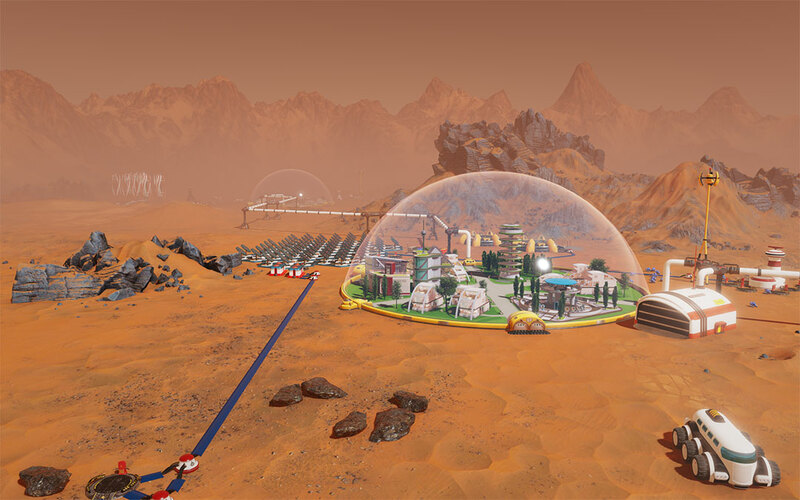 If you like your Tropico’s and Aven Colony’s then take a gander at Surviving Mars, the latest dictator simulation title to drop onto Xbox One. As with the aforementioned Aven Colony, your management will take place away from this planet, Mars in particular, and will task you with colonising the Red Planet whilst dealing with all the issues working in space brings. If you wish, allowing a “Mystery” plot event will also shake things up, which can be for the better… or bring devastating consequences! Surviving Mars is right up there as a red hot addition to our 2018 games list – just check out our 5 most anticipated games for 2018. Resource management and building construction is on the menu here – so don your builders’ hat and get out there! 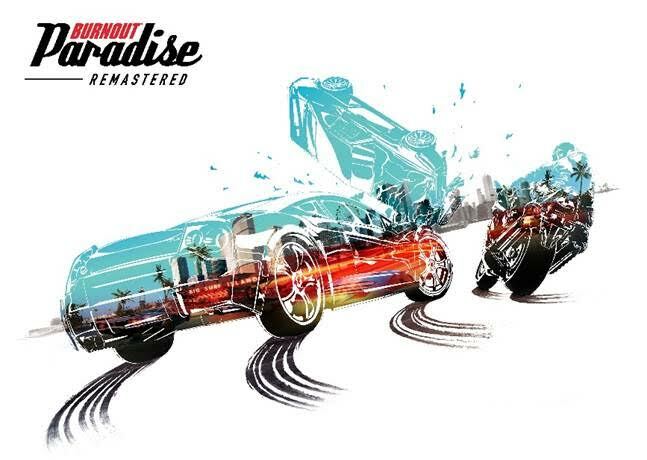 For so long we have been yearning for the chance to be taken down to Paradise City once again, and finally we now have the chance thanks to Burnout Paradise Remastered! Not only will the grass be green and the girls rather pretty, but we’ll be getting our hands on all the races and events we saw in the original, and the previously released DLC comes packed in too – gifting us the true Paradise experience. But what really gets us excited is the fact that we will be gawping at all the added visual goodies that accompany a remaster – just imagine what tearing up the streets of Paradise City on Xbox One X will look like! You won’t have to wait long… it’s out on the 16th! Seems a great way to celebrate 10 years of the game! 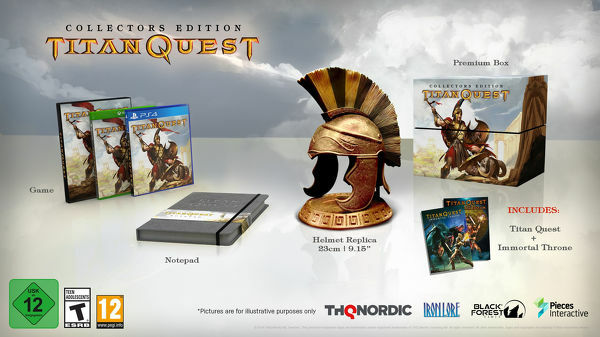 Console fans can take one back from the clutches of PC exclusivity with the release of Titan Quest on console – a adventure with mythical beasts, arcane mysteries and breathtaking locations that can be enjoyed with 2-6 players online. With a whopping 1000+ pieces of gear to find and use, as well as an extensive character customiser and not to mention the updated graphics for consoles, Titan Quest will be dropping this month. A Standard Edition is available, as well as a fully-loaded Collector’s Edition for those who like their games to come with a 23cm Greek war helmet replica. 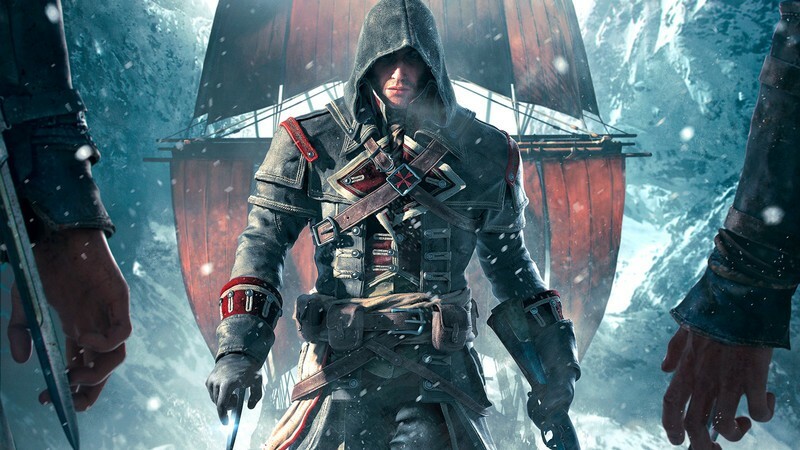 The icy waters of the Atlantic Ocean may not be the most glamorous areas to do your assassinating and travelling, but when Assassin’s Creed Rogue came out way back in 2014 we quickly discovered that our adventures with Assassin Shay Patrick Cormac were pretty decent. With some cool gadgets and the easily-recognisable Assassin’s Creed staples, Rogue was a nice addition to the series, especially for players without an Xbox One who couldn’t play Assassin’s Creed Unity but still wanted their fix for the year. The return of ship combat from AC IV: Black Flag was also greatly welcomed! So what of the remaster? Well, we will be seeing some graphical enhancements to the game, so hopefully it can hold up against the stellar views that we were met with in the recent Assassin’s Creed Origins. The second title from the director of the emotional Brothers – A Tale of Two Sons, A Way Out focuses on two convicts, Leo and Vincent, who are attempting to escape from the confines of their prison cells and continue on their difficult journey. The twist is that throughout the entirety of the game you will be depending on not only your own ability, but that of a online or local partner also. One player will control one character each, and you will have to work together through cut-throat set pieces and sticky situations to get through the game. 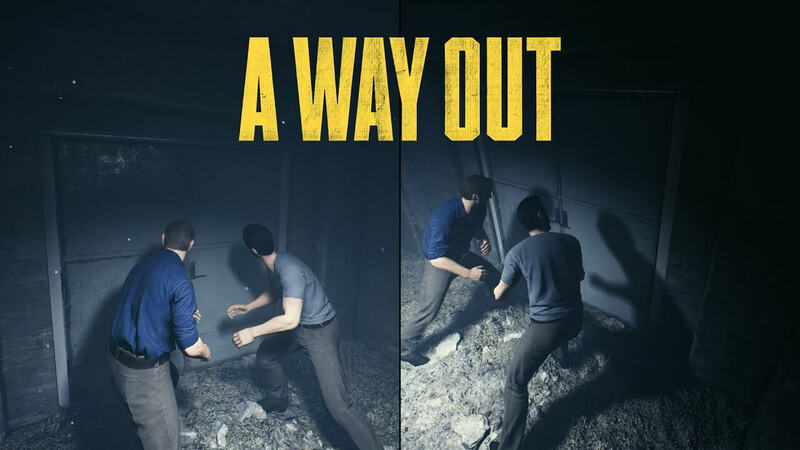 A Way Out is certainly a unique experience to be enjoyed with a friend – you better hope they are reliable! Any manga fans in the room? If so, then I’m sure A.O.T. 2 will be right up your street! Based on the popular manga of the same name, A.O.T. 2 expands upon the story told by the original title, A.O.T. : Wings of Freedom, adapting further volumes of the manga. 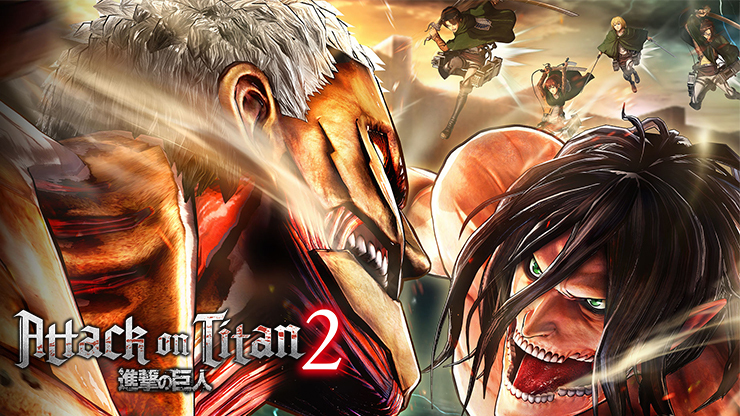 Retaining key gameplay features from Wings of Freedom with the murdering of huge titans in open expanses, the sequel introduces an entirely co-op story mode, as well as a character creator. No, we haven’t just got an updated version of the Avenger’s adventures with a space-suit on, but a first person shooter set in the universe of Warhammer 40,000. 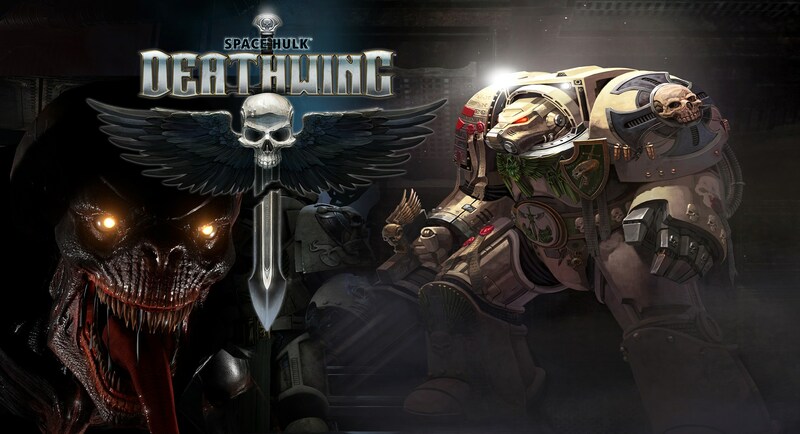 Space Hulk: Deathwing is what it is – and later this month we will be getting a load of new content with it in the Enhanced Edition. Additions to the game are heavily focussed on bringing in new modes, with the Special Missions coming to multiplayer to test even the bravest of Terminator squads, as well as a full multiplayer progression system with loot and class customization and new enemies, weapon and multiplayer class. For more information on the Enhanced Edition and what it entails then check out our article here. As you can tell, I’m excited. And for good reason! The sheer freedom of this top Xbox exclusive is what gets me. Whether you choose to take on the various quests from different vendors, all asking for a different objective, or simply decide to head off on the high seas to plunder from every ship you come across, you can be sure you will be having an enjoyable time with friends. 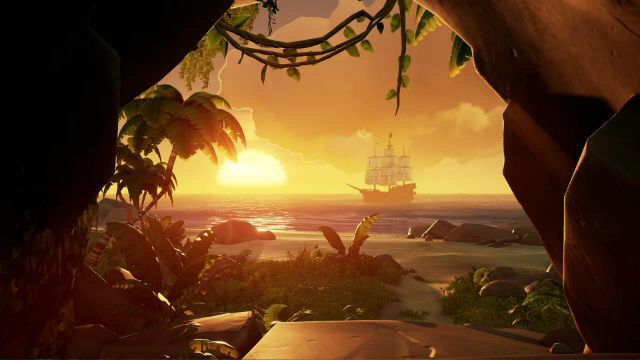 As you will be playing in a shared world, every island or ship you encounter will be inhabited by other crews attempting to achieve similar objectives, and this makes for some tough decisions indeed. Do you sneak away empty handed, or do you put up a fight for the treasure? Decisions, decisions, but one thing is for sure – Sea of Thieves will offer a cartoonish and colourful pirate experience, optimised for playing with friends, but still offering up all the same fun if you play solo or with randoms. And with the recent announcement that Sea of Thieves will be playable at launch if you are a member of Xbox Games Pass, it couldn’t be a better time to pick up a subscription. We’ve gone to tropical islands, a failed state in Central Africa, the far reaches of the Himalayas and caveman settlements in 10,000 BC. So where is Far Cry taking us next? Well, to the good ol’ US of A of course! 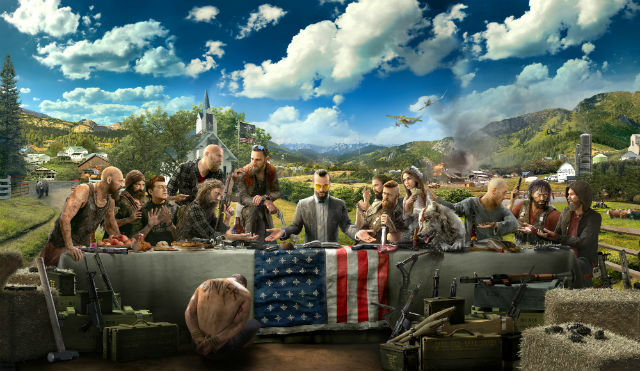 Whatever you find yourself doing in the extensive open-world of Hope County you can be sure that you will be having a merry old time, and the addition of helpful companions like sniper Grace Armstrong, pilot Nick Rye and adorable mutt Boomer – I mean, what better dogs can there be in gaming? – adds some depth to proceedings. So there we have it. The latest Xbox One games that are due to hit shelves near you over the next few weeks. Which will you be checking out? Make sure you tell us about your most anticipated ones in the comments below. Next articleFar Cry 5 live action trailer revealed!